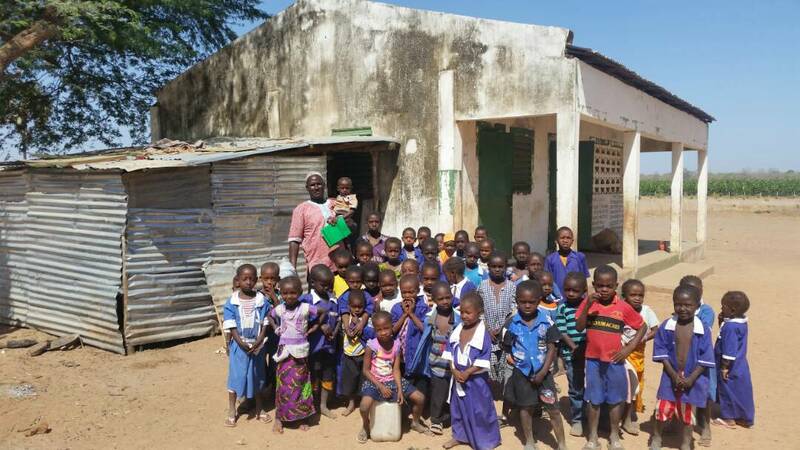 More Gambians want to go to school. 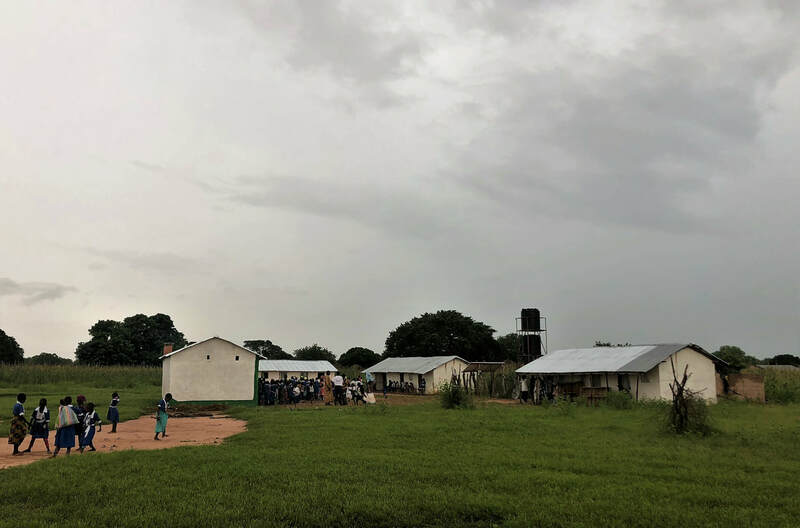 And demand for rural schools has outstripped the Gambian government's means. As in many new democracies, scarce funds are going to be allocated to noisy, visible, and/or politically important communities. So if you are far from the only paved road, in a remote farming village, and the nearest school is more than 30 minutes' walk away, children still do what their ancestors did: stay home. In Pacharr, school was started in an abandoned corrugate shed. 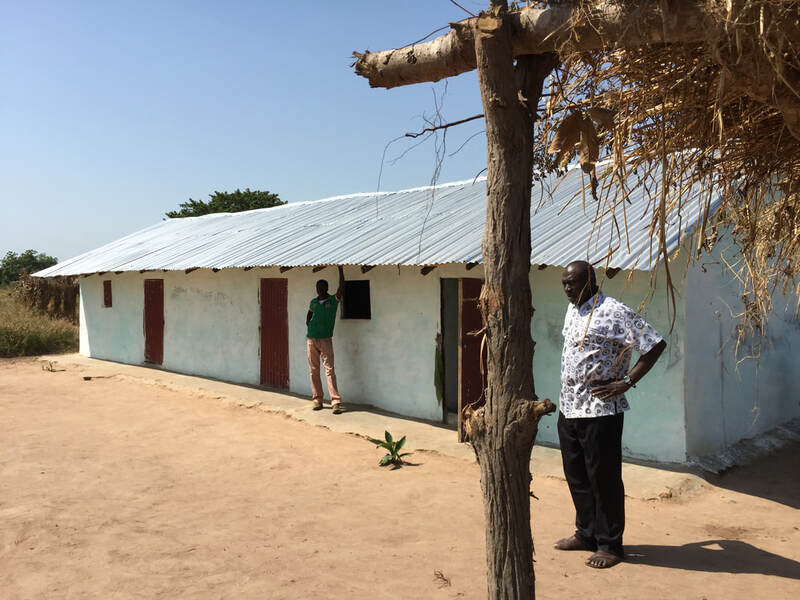 GambiaRising supplied cement, roofing materials, chalkboards, benches, and window/door material, and community members built a school. The school is visible from the road. So as elections loomed, the government later added 2 new classrooms + teachers' housing. 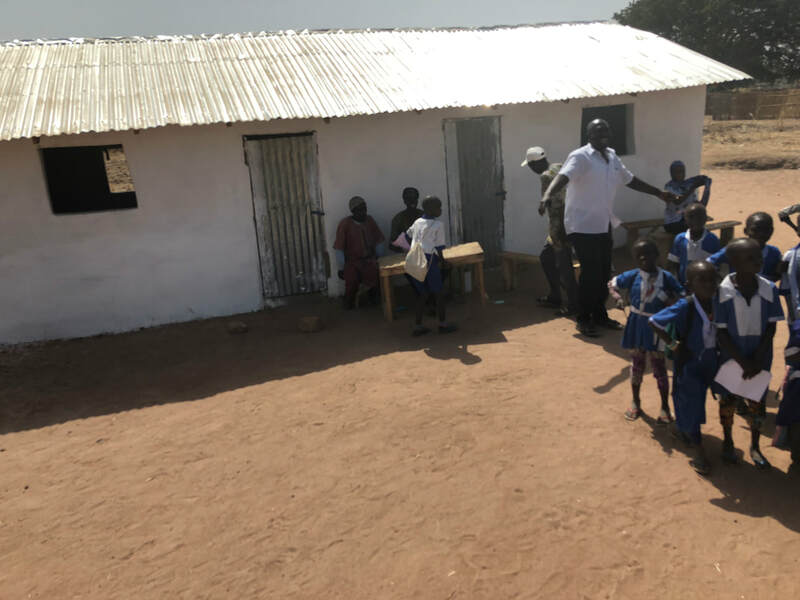 In Njie Kunda, there were no old buildings available, so with GambiaRising's support, the community built two classrooms to start a new school. The new school filled quickly, then it went to double shifts. 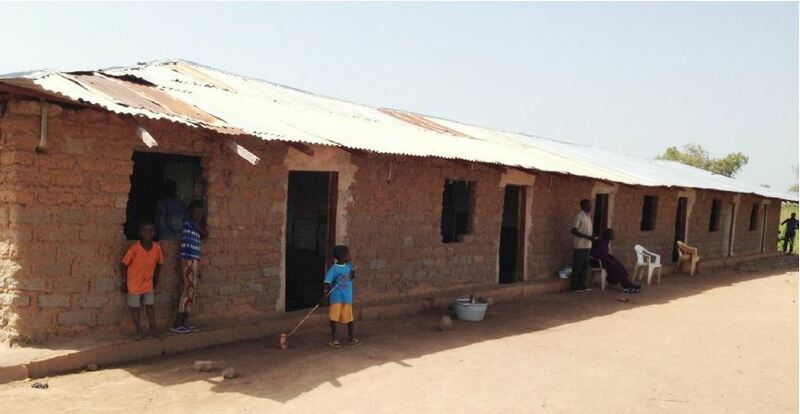 With our support, two more classrooms and teachers' housing were then added. 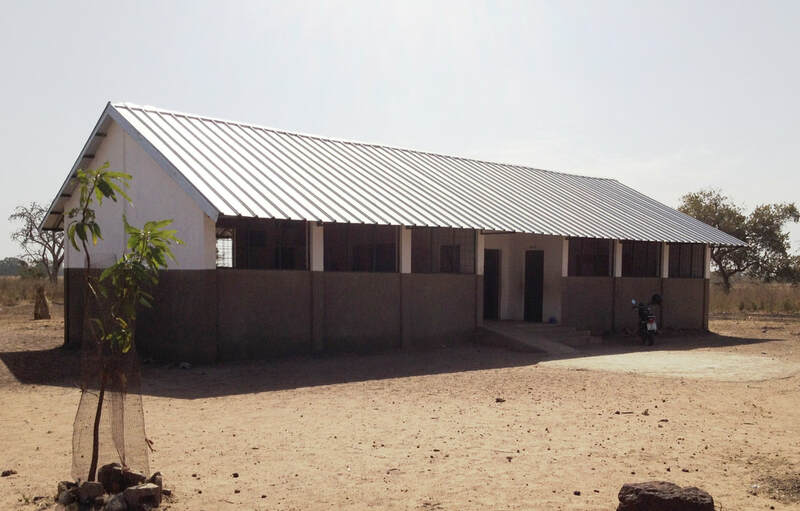 Again, these were built with materials funded by GambiaRising, and then with support from Water Charity for a school garden, kitchen, and toilets. Here's the campus now. In Korrop, a grain storehouse was turned into a classroom. A corrugate shed was added. 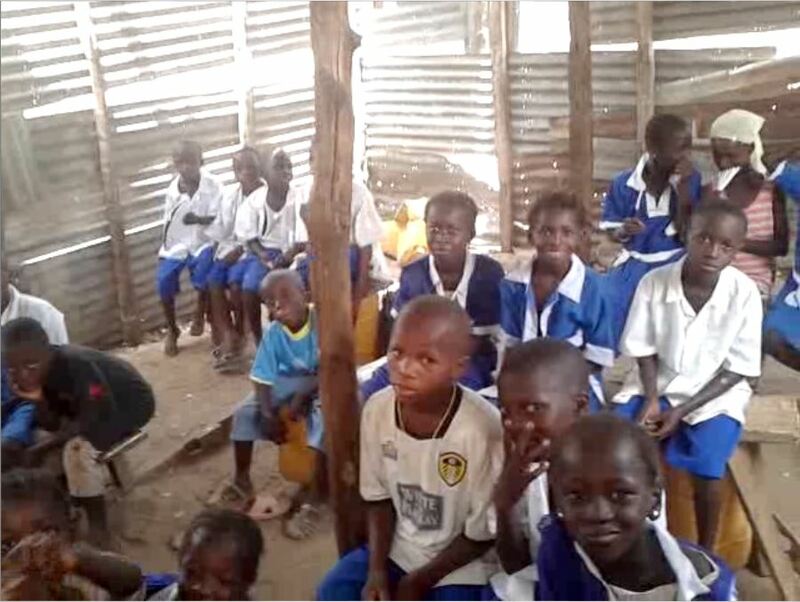 Donations to GambiaRising funded 2 new community-built classrooms. A grant from Water Charity funded toilets, a school kitchen, and garden. On paper, the village of Sareh Wuring has a school within walking distance. But, as with Pacharr, a 30-minute walk means that a nursery school student doesn't go to school. And when a child is deemed old enough to walk to school, they are several years older than the others in their grade, and haven't had the benefit of a year or two of nursery school. So the community asked the owner of an abandoned storage shed if they could use it for a school. They built a grass roof and started. Then they added a second room - a grass hut. To their delight, the government agreed to provide teachers, three of them. And, based on age, they assigned children to three grades: Nursery 1, & 2, and grade 1. With only two rooms, that meant that there were two shifts. Children sat on the floor.) Who would go to such a school? 104 students enrolled! Once again, the community reached out to GambiaRising. Could we provide the funds for materials so they could build two classrooms, or perhaps more? We said we didn't have the funds, but we would try. A donation of any amount will help enormously. A monthly donation will let us know the funds are coming and we can commit to say "Yes" now. 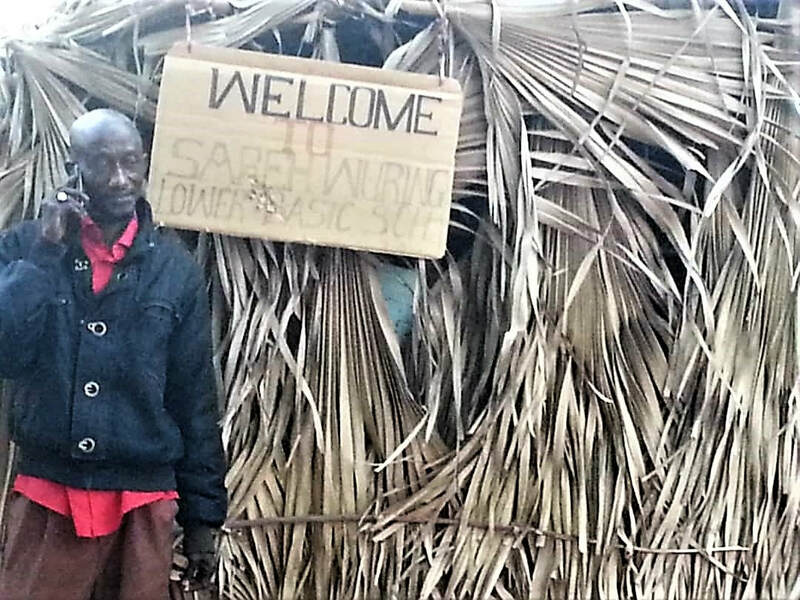 Let's help Sareh Wuring build itself a school! Thank you! Abaraka! Jerejef! A jaaraama!